In NEXON M’s exciting MMO combat strategy game, called Path of War, the fate of the free world is in your hands. You will be fighting for America and aiming to recapture the nation’s capital, Washington D.C., from the bad guys. 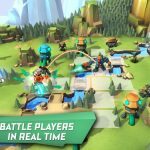 And while at it, you will also “rebuild the new America,” designing your headquarters, training your army, and “(wreaking) a path of destruction across the United States.” The main selling point here is the fast-paced, intense player-to-player combat that makes this very similar to games like Clash of Clans, in terms of mechanics. However, this time you’re carrying out your PvP battles in a presumably post-apocalyptic America and seeking to take over Washington once it’s all said and done. Without getting too much into detail, we’d like to help you, the newbie player, reclaim Washington and defeat more players – we’re naturally talking about other human players here. 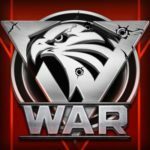 So if you’re a first-timer, then we strongly suggest you to check out our list of Path of War tips and tricks. One of the most basic things to keep in mind in this game is to regularly upgrade your headquarters. 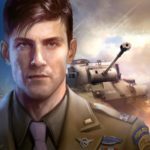 Upgrading your HQ on a consistent basis allows you to unlock new buildings and weapons, and you will really need to have some updated, powerful weapons in order to keep up with other human players. Feel that the game is unlocking way too much content for you to purchase? Don’t panic; speaking in general terms, Path of War won’t often do that to you, and will generally allow you to take your time when building up your base. We would recommend saving the new purchases for the times when you upgrade your base. Some tasks and upgrades may take quite a while to complete, and you may get tempted due to your impatience and spend your gems – your premium currency – to expedite a certain task. Don’t bother with that! If you’re actively playing, only choose the tasks that won’t require you to wait hours upon hours. Instead, save longer tasks for right before bedtime; chances are, unless you have a fitful sleep, the tasks will be completed once you’re awake in the morning. It’s always good if you focus on the game’s missions, which would require you to complete certain tasks. 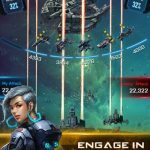 Sometimes, these tasks can be quite simple; all you may have to do is to level up one of your guns or to collect a certain amount of a certain resource. A lot of these missions can be accomplished by naturally playing the game, and when you complete them, you can earn a ton of XP. When attacking opposing players, you want to center your focus on their base. It will also be good if you try to take out their defensive structures too, but the main focus, really, should be their base, as destroying their base gives you the victory. Here’s another simple battle tip you might want to consider. When fighting, you’ll a path that moves in a straight line, and once you reach the end of that path, you will get a chance to earn medals. These can then be used to replenish your troops later on down the line.